Luxury is changing. Today, it's not just about good food and good life. It's increasingly about exclusive hospitality and great service. Recently, I found the perfect place to treat myself to a luxury spa break. 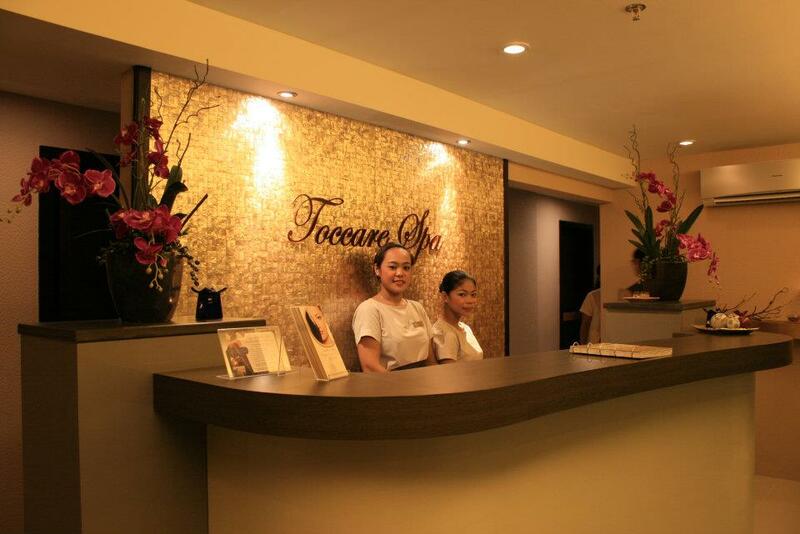 The Toccare Spa in Makati. 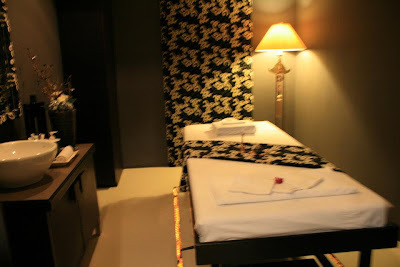 Well, I'm pretty sure you know that Makati is dotted with the busiest joints but I spotted this place where I can rest my body and soul while spoiling myself with avant-garde spa treatments. 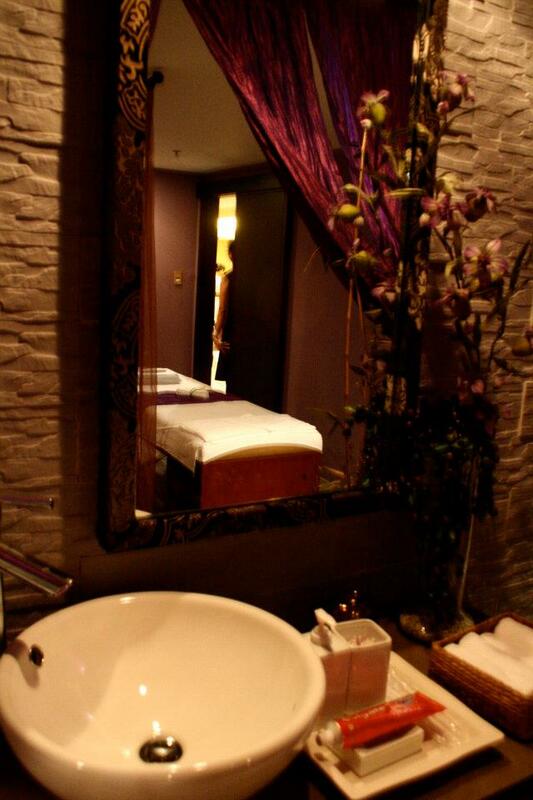 Toccare is Italian for "touch" so this love month.. well, all you need is love... and maybe a trip to Toccare Spa for a touch of love and luxury! Toccare Spa Luxury Spa nestles in a haven of natural beauty and tranquillity at the 4th level of Antel Spa Suites in Makati, which is one of the most luxurious and relaxing health spas in the country. 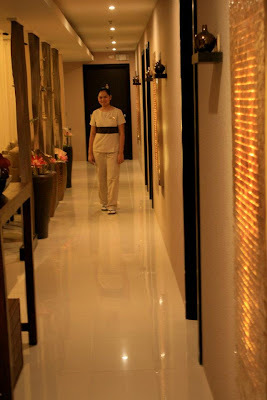 Walking into the spa for the first time, I silently muttered “wow” and I was greeted by the lovely owner of Toccare Spa and spa consultant, Leah Dy. 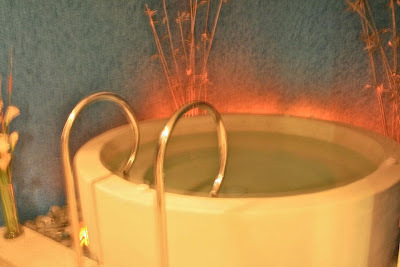 Toccare Spa is amazing and has created a PERFECT harmony of luxury, warmth, great ambience and space highlighted by friendly and gracious staff. Also, what I love about this luxury spa is that they let you design your own spa experience by choosing your massage oil, scents, room, temperature and music. I was undecided to choose between lemongrass and lavender. But then, I ended up choosing lavender just because the scent is so calming and relaxing. I was pampered the moment I step in. I guess anyone used to Makati’s ultra urban facade and busy lifestyle will find themselves slightly disorientated yet amazingly relaxed at Toccare Spa. Once you walk through its narrow maze-like corridors, you will be pleased by the relaxing music and scent of essential oils as though you’ve just been transported into another place. There’s also an abundance of rustic charm with its “close-to-nature” feel. 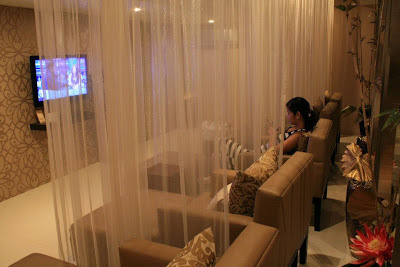 They also have a comfy lounge area for those times when there's a queue for the treatment rooms. So here's a quick tip: It's best to get an advance booking. :) It can also be a little too busy after office hours, depending on the time of day. The best time to go is early afternoon or late evening. 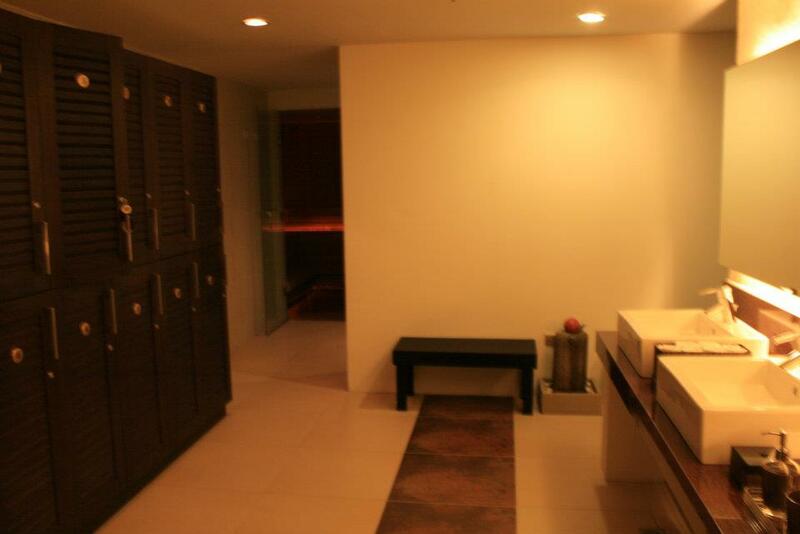 After lounging and chillaxing for a while, the warm and very friendly staff ushered me to the wet areas where clients can either choose to take a shower, have a quick dip in the jacuzzi for a relaxing water therapy, or choose to stay and sweat it out at the steam and sauna rooms. The Jacuzzi was calm and inviting. My favorite escape :) One of the individual executive rooms. The executive room has its own sink complete with toiletries inside. Then I was tucked away in one of the individual executive rooms, enveloped on a bed and soft towels while my masseuse, Chell (yes, we have the same nickname but her name is spelled that way). She instantly worked her magic and my time inside this room was spent indulging with the 90-min. Filipino Hilot Massage. And it was amazing. It was pure bliss. Seriously the most relaxing 90 minutes of my life! It's a Filipino-style therapeutic massage that combines the use of virgin coconut oil with the medium to deep pressure strokes to relieve deep-rooted stress and warm banana leaf is applied on my back to assess areas that need focus. Oh, and that moment when the masseuse found the “lamig” on my back. Yay! :) The pressure that she applied was perfect and she's extremely skilled with stretching. Also, Chell was very thorough and knowledgeable, as well as very friendly and welcoming. She never got too intimate or ask too many questions. After the massage, I felt like I was cocooned from the outside world and she offered an after treatment beverage from a selection of iced and hot tea and juice from their Spa Bar. Aside from the individual rooms, couples rooms and common rooms named after some popular gem stones, they also have a spacious room that is perfect for sparties and private events like bridal shower, birthdays, etc. Now, I can't help but think about my birthday on May. Yay! 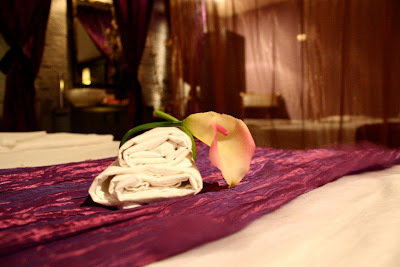 Oh well, it would be very easy for me to keep rambling all day about all the great things at Toccare Spa. But believe me, the longer you are there, the more wonderful things you experience. :) The complimentary drinks, the essential oils, the Cable TVs for clients to watch (yes, cable TVs in a spa, it really works!) and the impeccable service. But I guess these are all reasons for you to go and try it out for yourself. 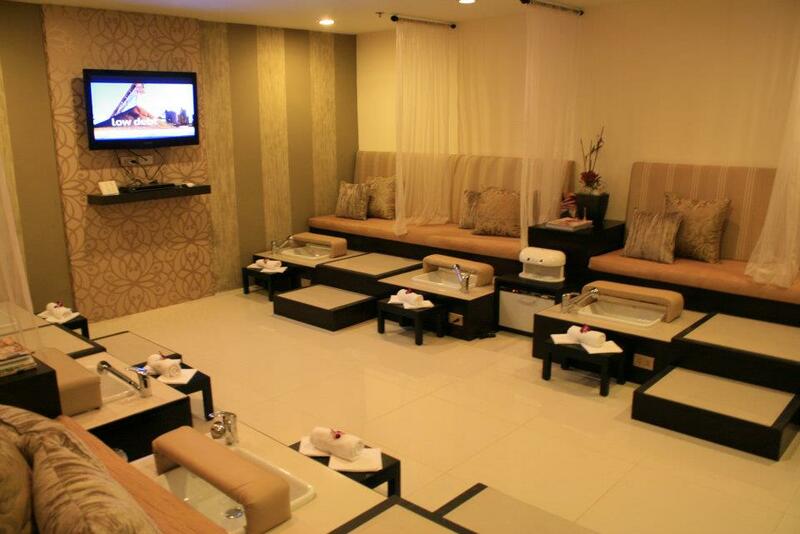 On the other hand, if you're pampering for two, a day of luxuriant spa day at Toccare Spa will never fail to impress. Check out their Valentines Specials! Also, congratulations to the 5 lucky winners of the ultimate Toccare Spa experience from my blog's 5th year anniversary giveaway. I'm sooooo jealous of the winners but I know that next time I'm in Makati, I'd definitely go back.